If you endure some sort of injury or notice a health problem, are you the kind of person that’s rushing to the doctor or waiting until it’s an absolute necessity? Americans vary on this issue. Some will visit the doctor or dentist over anything that happens whereas others are content to “tough it out” or wait until they have more time or money. But that time, while they’re suffering from the ailment as opposed to having it treated, is time that they’re living a diminished quality of life. Discover the difference between hurting from a particular dental ailment and life after you’ve gotten the treatment you need. Why Do People Postpone Dental Care? If people have a dental problem that doesn’t necessarily cause pain or doesn’t seem to disrupt their life in a major way, they may not feel enough of a sense of urgency to pursue treatment. Many will blame insufficient time or money for skipping out on necessary treatments. The irony of this is that by skipping out on the immediate care they need, problems will get worse, and they’ll cost much more and take that much longer to fix in the future. You may get used to living with a major dental problem, but that doesn’t mean that it won’t impact your quality of life. Plus, when you see how life could be after the treatment, you may reconsider holding off until the time is perfect. Explore these three scenarios and see how life is much better when you’re getting the dental care you need. It’s often a parent or friend who first notices that your teeth are growing in crookedly. You may not notice any symptoms other than the change in aesthetics – but even that typically comes with problems that can affect your life. For example, if you have crooked teeth, you may feel apprehensive about smiling, which can affect your confidence and various aspects of your life. Ultimately, living with misaligned teeth can lead to problems with your bite as well. It can even be painful as one or more of your teeth are impacted at a different angle than the others. At its worst, misaligned teeth can be a major inconvenience that harms your confidence and leaves you at a lesser quality of life than you’d have if you pursued treatment. Rather than accepting your crooked teeth, you could invest in a solution that will straighten them out over the course of six months or so. Invisalign is a discreet way to get that perfectly even smile you’ve always wanted. By simply wearing your aligners for the prescribed length of time and switching to a tighter one every few weeks, you’ll end up with front teeth that are well-aligned and a smile that looks better than ever before. If you’ve decided that you’ve lived with crooked teeth for long enough, the process of getting Invisalign is quicker and easier than you may expect. The first step is to find a dentist who offers the service, such as Dr. Mark Katz, an experienced orthodontist in North Carolina. Once you’ve talked to an expert about your concerns and expectations, you can begin your path towards a straighter smile, as well as the confidence that comes with it. There are many reasons for snoring, but when it becomes so frequent and loud that it disturbs your sleeping partner, it may be a sign of something more ominous. Sleep apnea is a common problem in America, with about 18 million people suffering from the disorder. With the only direct signs being severe trouble sleeping combined with loud snoring, it’s no wonder that sleep apnea often goes untreated. It’s well known that sleep is crucial to your overall health, and sleep apnea wakes the sufferer up dozens of times per night, making it impossible to get quality rest. Without this much-needed sleep, your performance during the day starts to suffer as you struggle to stay awake. If you’re in a relationship, that will probably be tested as well, as your loud snoring probably prevents your bed partner from sleeping too. Left untreated, a sleep apnea sufferer can expect heart problems, potential strokes, and may even lose their life due to sleep apnea. Once you finally go in for your sleep apnea treatment, a sleep specialist like Dr. Kellye N. Rice of Brentwood, TN will diagnose you with a sleep test. To treat the disorder, your doctor will very likely prescribe an oral appliance that performs some function to keep the airway open. Whether it nudges your jaw forward or presses your tongue down, this oral appliance will help keep your airway open and restore your ability to sleep throughout the night. There are many reasons why someone may lose their permanent teeth, but when it happens, it’s best to replace them as soon as you can. That’s because the reality of living with missing teeth can be dire. For example, depending on their location, missing teeth can result in chewing problems, which eventually leads to digestive issues as well. Not to mention the toll it takes on your mouth – with no tooth to support the surrounding teeth, your remaining teeth can grow out of place, resulting in a need for orthodontic treatment. If you’ve been living as if your missing teeth aren’t a big deal, you may not know about the innovative treatments that are out there. Of all restorative treatments, dental implants are by far the best option for those who qualify for the procedure. Once you sign up for a consultation with a dentist that specializes in dental implants, such as Dr. Dan McAllister at Montana Dental Works, you’ll soon find out whether this remarkable treatment is right for you. When it comes to dental implants, words like “life-changing” are often used to describe their effect on patients, and for good reason. The many benefits of dental implants can enhance your quality of life in ways you never thought possible. The confidence that will come from being able to eat what you want and from knowing that your smile is beautiful and complete is priceless. Ultimately, dental implants can be a major investment in your health and well-being. Why Wait When Highly Effective Options Are Available? 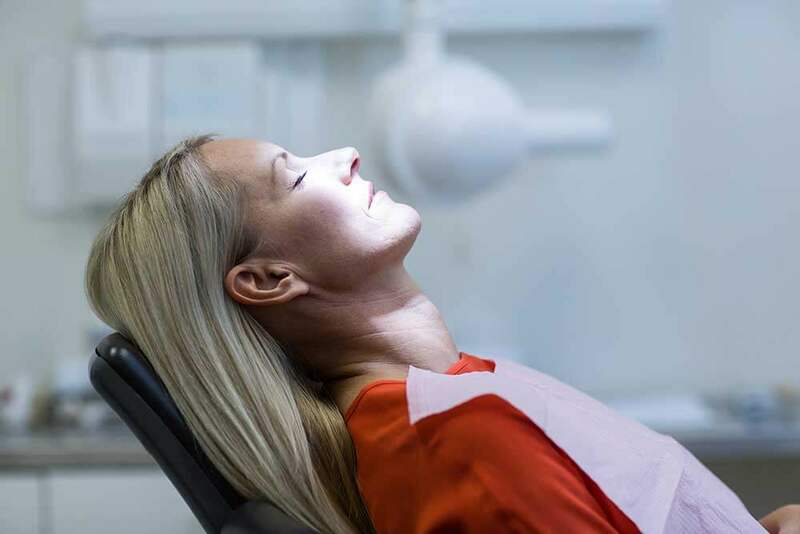 While it may make sense in the short term to postpone a needed dental procedure until you feel you have the time or money to support it, it’s important to note that these problems will become worse when left untreated. Rather than suffering a lower quality of life, you can simply commit to treating problems as soon as they develop – a plan that will keep you healthy and living life to the fullest.